Mack AC "Bulldog" haulers are legendary workhorses. During their 20-plus years of production (1916-1939), they were employed in many heavy industries including logging, petroleum, construction, and nearly anywhere a rock-solid chassis cab was needed. They were available with up to a 7.5-ton load capacity. The U.S. military made extensive use of the AC during WWI. Many of them remained in the countries where they served and were put to use by civilians for decades afterward. Mack delivered over 6,000 trucks, both to the United States and Britain's military. A legend surfaced that British soldiers would call for Mack Bulldogs to be sent when facing adversity. 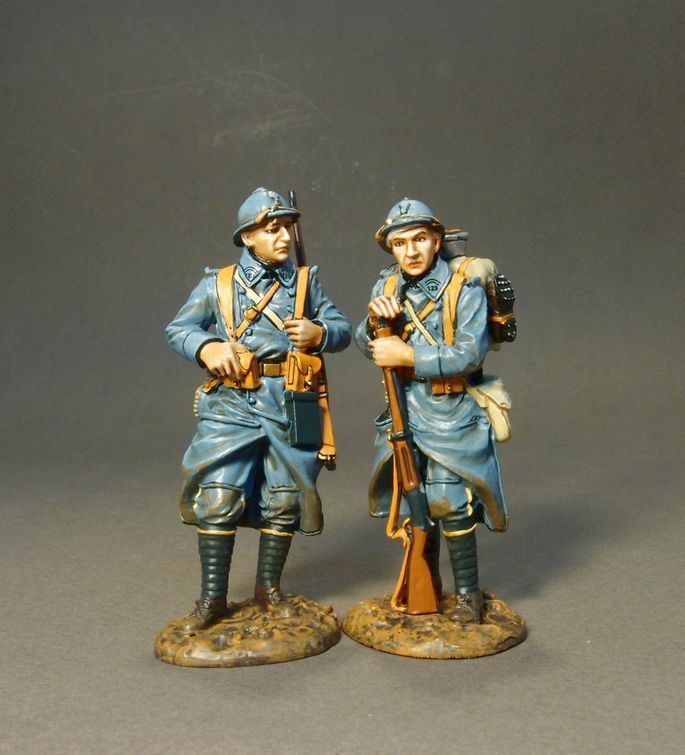 French Infantry 1917-1918, 123e Regiment of Infantry, 2 PCDF Standing. GWF29 French Infantry 1917-1918, "The Angel"
GWB01A Lt. C.B. Arnold, Commander of British Whippet Tank 344 known as "Musical Box"
GWB01B W.J. Carney and C. Ribbans of British Whippet Tank 344 known as "Musical Box"
GWB03 British Medium Tank, Mark C, "Hornet"
GWB25 2 Australian Crew, "Lending a Hand"
With World War I stalled on the Western Front by 1915, the Allied Powers were debating going on the offensive in another region of the conflict, rather than continuing with attacks in Belgium and France. Early that year, Russia’s Grand Duke Nicholas appealed to Britain for aid in confronting a Turkish invasion in the Caucasus. (The Ottoman Empire had entered World War I on the side of the Central Powers, Germany and Austria-Hungary, by November 1914.) In response, the Allies decided to launch a naval expedition to seize the Dardanelles Straits, a narrow passage connecting the Aegean Sea to the Sea of Marmara in northwestern Turkey. If successful, capture of the straits would allow the Allies to link up with the Russians in the Black Sea, where they could work together to knock Turkey out of the war. 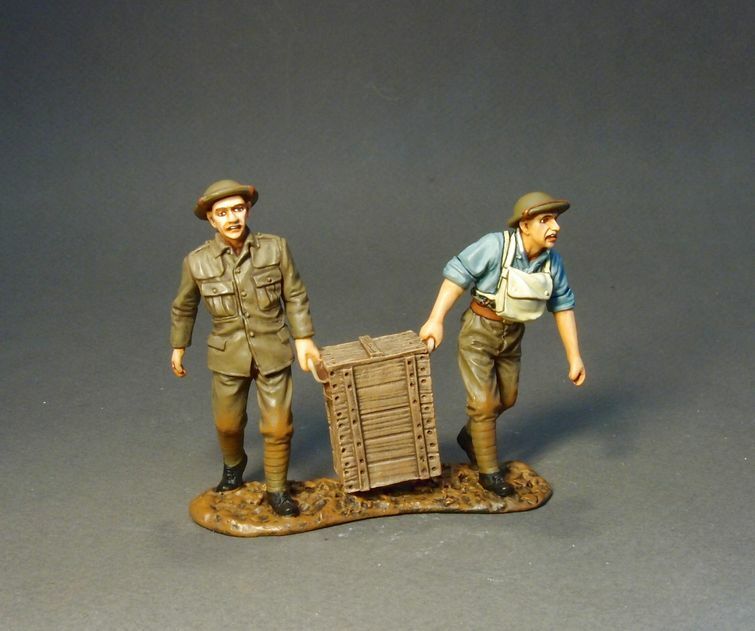 GWA11(60) Stokes Mortar Crew, 10 pcs. The Aces were the top pilots of each nation who had downed at least 5 enemy aircraft during aerial combat. 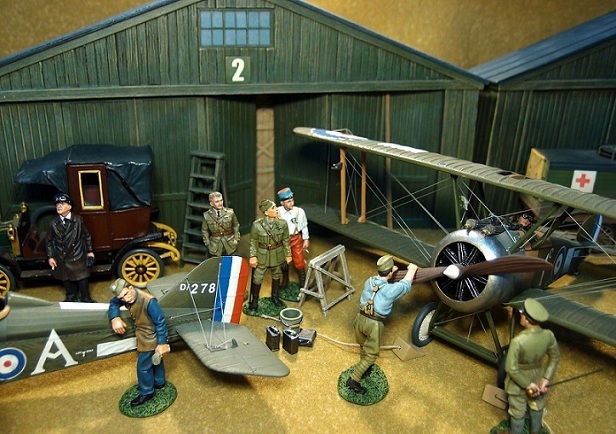 The governments promoted them to raise morale, civilians adored them for their courage and skill, and the press were to memorialize them as “Knights Of The Skies”. Aces presented a vision of war based on past virtues like chivalry and decorum. They became modern day heroes, flying machines instead of riding horses. Mechanics, Pushing and Pulling, 2 Pcs. BGC19 Mechanics, Pushing, 2 Pcs. Baron von Santa, "Chocs Away"